This controversial book explores the presence of the fantastic in Biblical and related texts, and the influence of Biblical traditions on contemporary fantasy writing, cinema, music and art. The contributors apply a variety of critical concepts and methods from the field of fantasy studies, including the theories of Tolkien, Todorov, Rosemary Jackson and Jack Zipes, to Biblical texts and challenge theological suppositions regarding the texts which take refuge in science or historiography. 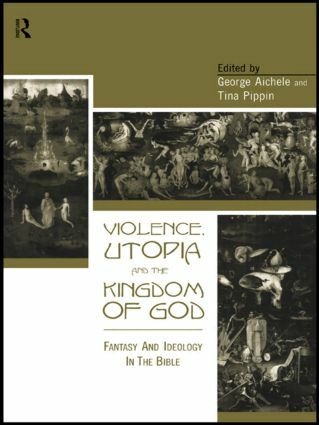 Violence, Utopia and the Kingdom of God presents a provocative and arresting new analysis of Biblical texts which draws on the most recent critical approaches to provide a unique study of the Biblical narrative. George Aichele, Adrian College, Michigan, USA, Roland Boer, United Theological College, Australia, Jorunn Jacobsen Buckley, Michael Desjardins, Wilfred Laurier University, Canada, Gene Doty, University of Missouri-Rolla, USA, William Doty, University of Alabama, USA, Tina Pippin, Agnes Scott College, USA, Eric Rabkin, University of Michigan, USA, Jane Schaberg, University of Detroit-Mercy College, USA, Jack Zipes, University of Minnesota, USA.